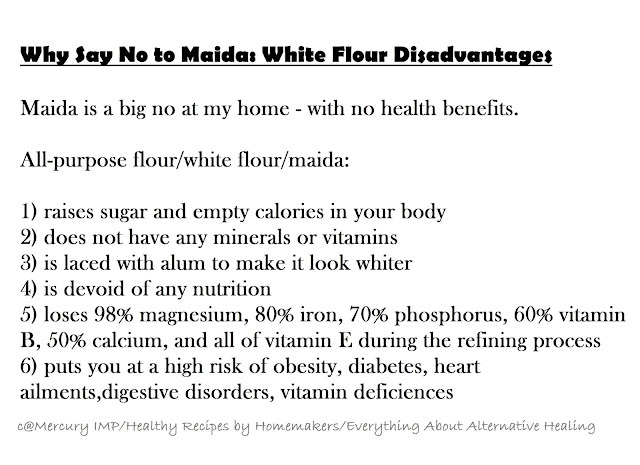 Looking for another no raising agent cookie recipe? Well, we have already prepared a number of eggless cookies without baking powder or baking soda. This cashew nut cookie batch is special. How? Of course, when you make something for your family, it has got to be special. 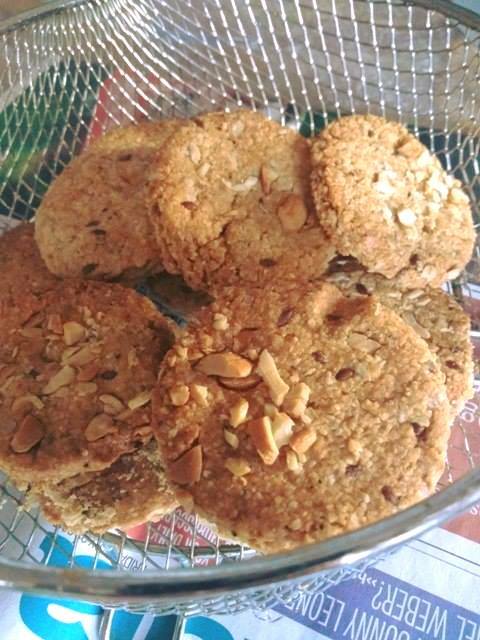 When your dad says, these eggless cookies could sell for 500 bucks per pack, you need no other explanation for this batch of cashew cookies. Then your brother tastes these melt-in-mouth beauties and suggests, "why do not you start your cookie business as well"? 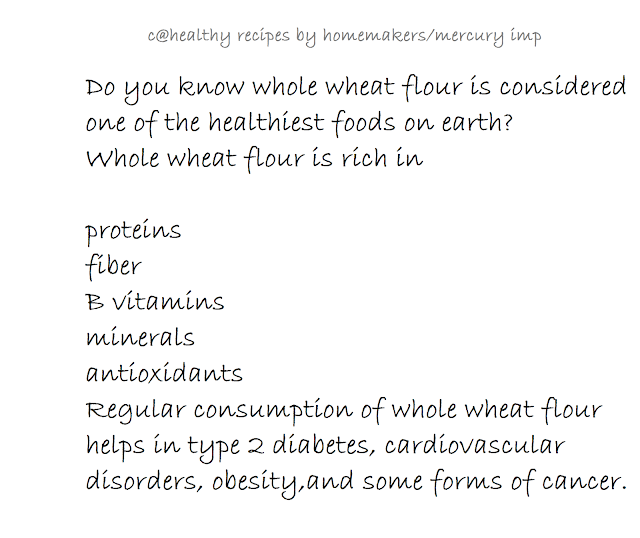 Need I say more about these fiber-rich whole wheat cashew cookies? 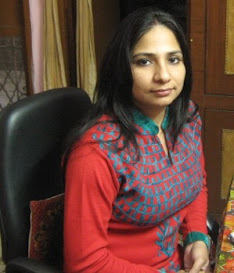 Recently, I was in Patiala - my mayka - I tried 4-5 varieties of cookies there. Dad says this time the cookies were the best. 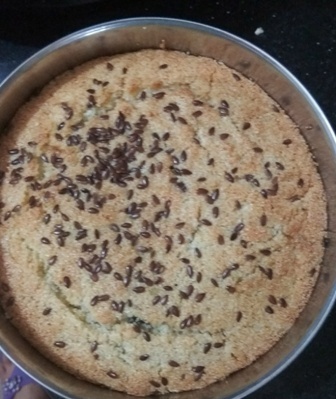 I even tried semolina lemon cake, which was loved by one and all. My dad continues to extol my efforts. 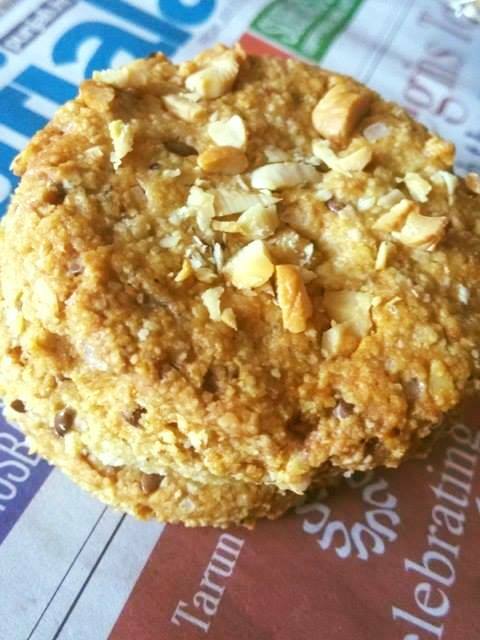 Let's talk a little bit about these eggless cashew cookies with oatmeal. I do not bring cashews home, as munching on these delicious dry fruits may raise cholesterol levels in your body. If you are already suffering from cholesterol management issues, then I would suggest that you replace cashew with healthier nuts, for example, almonds and pistachios. You may even add toasted sesame seeds. 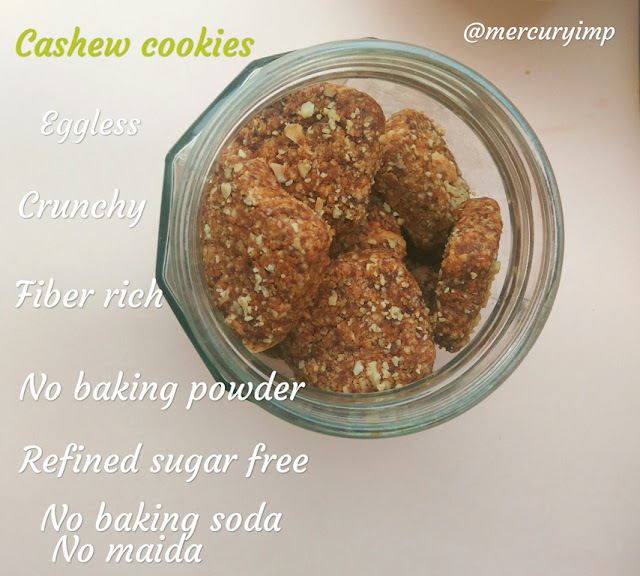 Anyway, for once-in-a-while indulgence, these eggless whole wheat cashew cookies can be tried. They won't disappoint you. 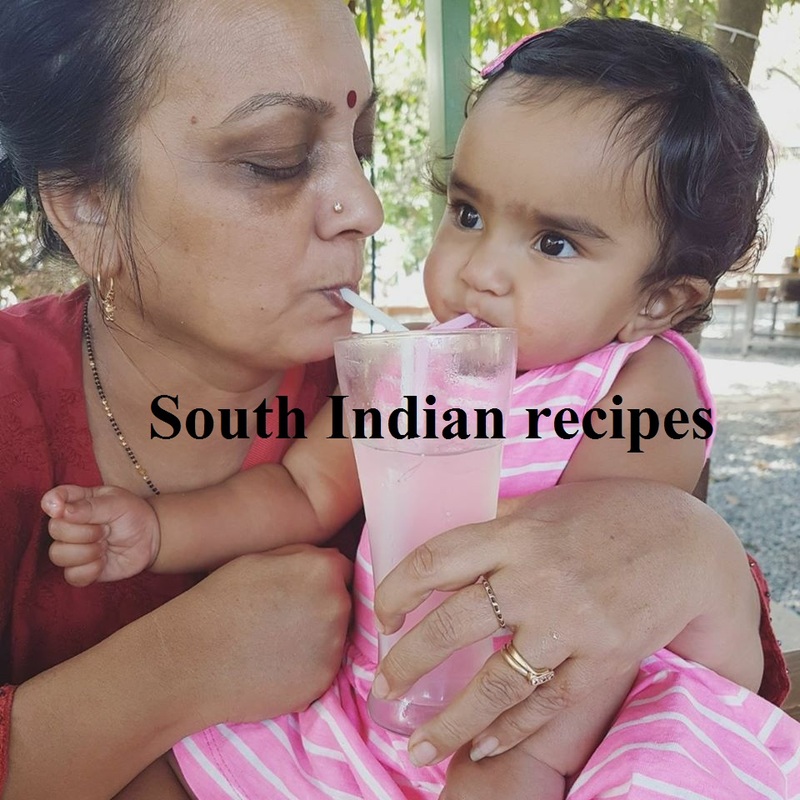 Another added advantage of this batch of eggless cookies is that you do not need any raising agent to turn these baked goodies soft and melt in mouth. The fat content will take care of the softness and crispness. But then there is a trick to make soft simple cookies without raising agents. 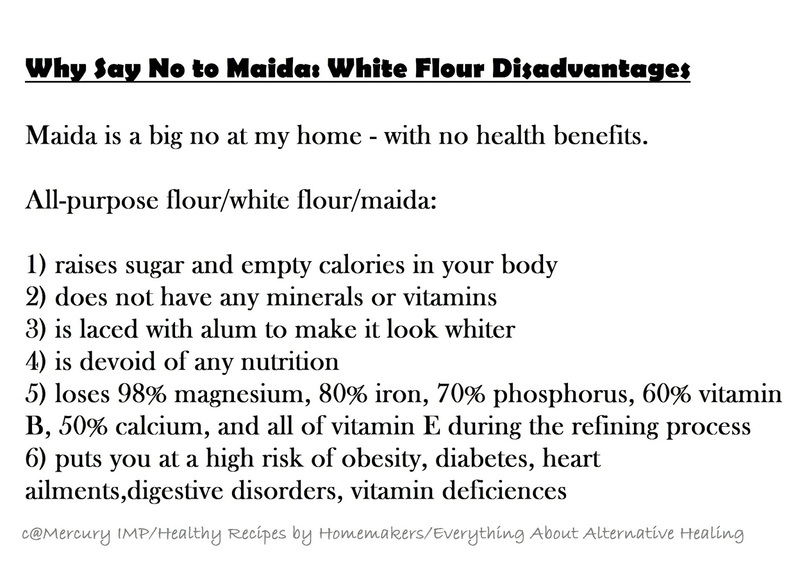 I am sharing the tips in the recipe below. Leverage these tips to make healthy cashew cookies without raising agent. So let's see how to prepare cookies without baking powder or baking soda. 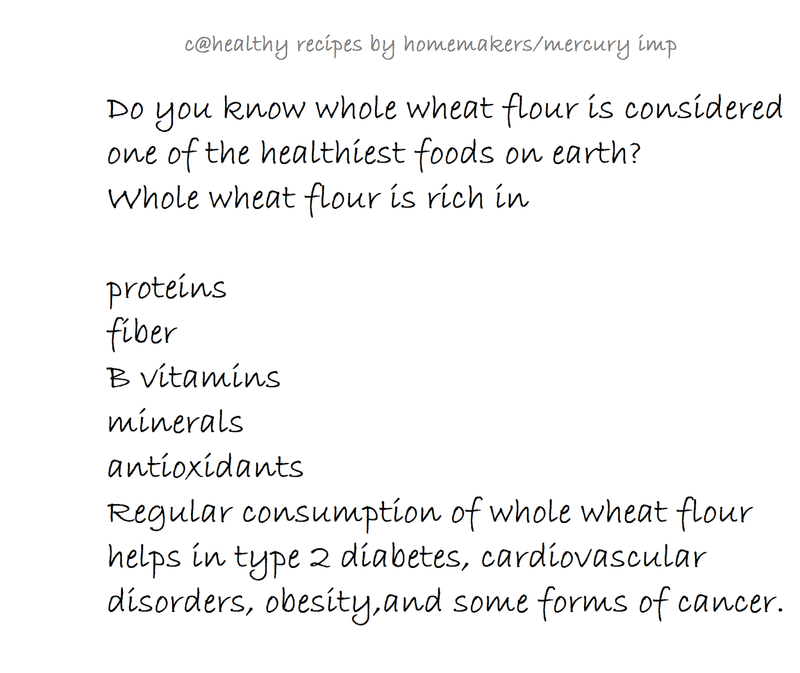 Before that, let's see why you should substitute white flour with whole grains. Whisk solid ghee, oil, and jaggery powder until the mix looks light and fluffy. Add cardamom powder or fennel seeds. I didn't add this time. Sieve both flours 5-8 times. 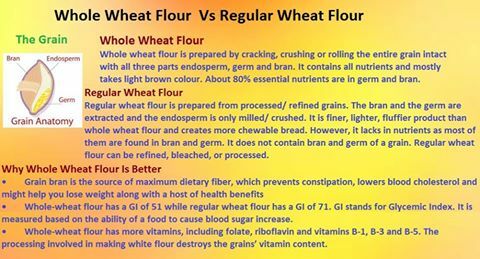 This is important to aerate the flours. Now add dry ingredients to the wet mix. Mix with hands. Do not knead. Kneading will result in gluten formation, which will make cookies chewy. But we want crunchy biscuits. So just mix everything with hands, without kneading. Add milk - 1tbsp at a time until the dough comes together as a ball. We need a soft dough. Now drop in chopped cashew nuts. Roll into a log or ball. Wrap the dough ball in an aluminum foil/parchment paper. Take out the dough and preheat oven/microwave convection for 10 mts at 160 degrees. 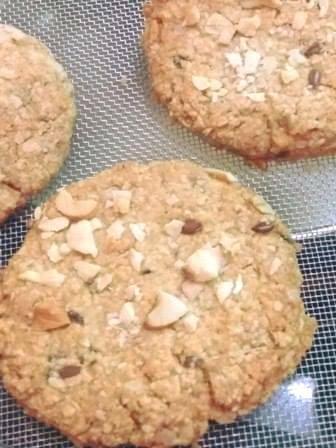 I made these eggless cookies in an airfryer.Preheat for 5 mins. The dough may be difficult to roll out . Keep it for 10 mts on the counter. Roll out like a thick chapati using a rolling pin. Make desired shapes. Do not forget to make insertions using a fork. This will allow deeper and even heating/baking/airfrying. Bake/or airfry the cashew cookies at 160 degrees for 20-25 mts. Allow the eggless cookies to cool down completely before munching on these bakes beauties. 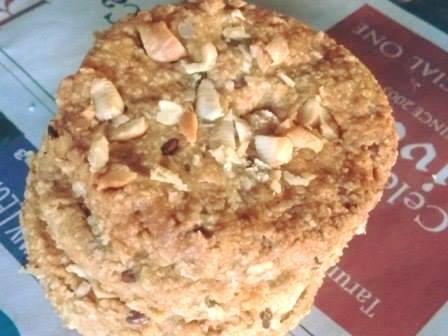 The yummy cashew cookies are ready to be dunked in a hot cup of tea or glass of milk. Of course, you may have these eggless bakes just like that. 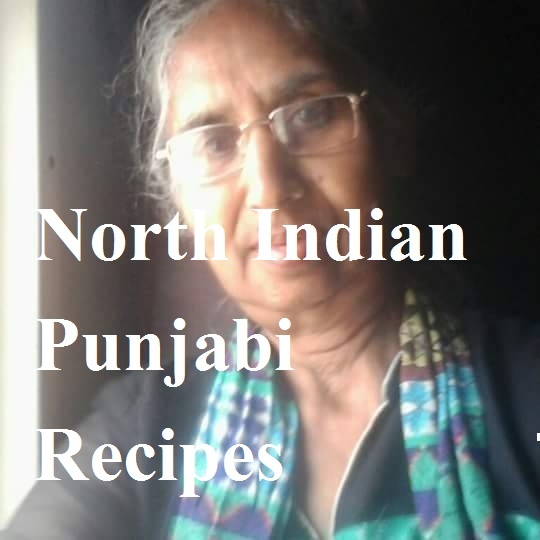 Check over 50+ cookie and cake recipes without baking powder or b.soda here. 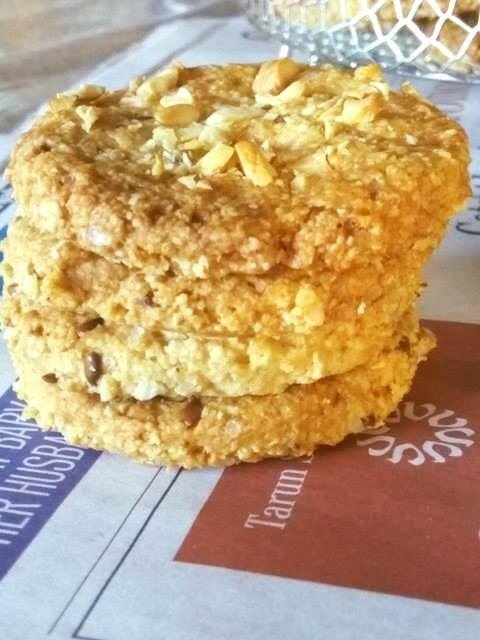 The airfryer cookies with whole wheat and oats can be tried on gas/stovetop as well. You may bake these in a cooker or on a tawa. 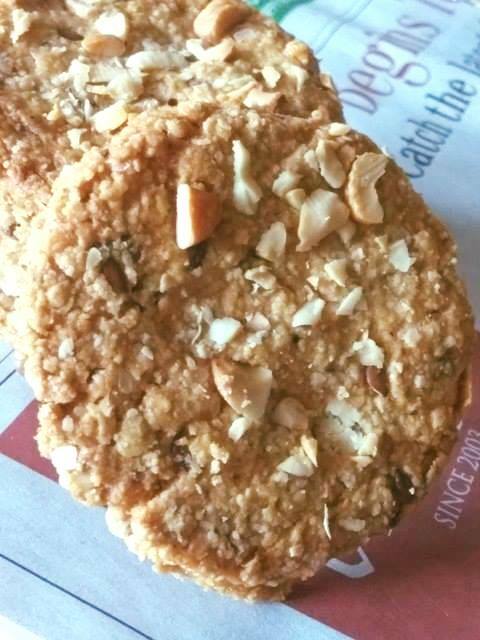 For the procedure to bake eggless cookies without oven, check this simple cookie recipe. Perfect. How long to bake on tava? Well, try to follow the same process as mentioned. You may need to bake these from both sides on tawa. Bake one side for 5-6 mts and then flip the cookies one by one and again bake the other side for 6-8 minutes on low-medium flame. 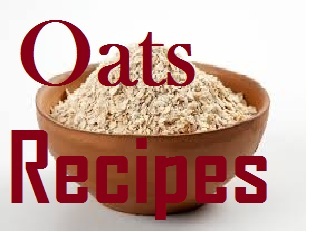 Hi will gluten free oats work?